No Monkeying Around – A fun, cute toy for $15 but don’t spend more than that! Fingerlings are cool, affordable virtual pets promoting nurturing play and simple, fun interactivity with somewhat limited play value. Nevertheless, kids will love owning these pet monkeys because they’re actually really adorable. Move over Hatchimals – Fingerlings are the hottest toy sensation for the Holiday 2017 season taking the toy industry by storm. Practically every kid wants to get their hands on these inexpensive, adorable interactive electronic virtual monkey pets for Christmas. Parents are scrambling to get the most-sought-after gift under the tree – some even paying top dollar to scalpers on eBay and Amazon. In fact, the market has actually been flooded with knockoffs. The real toys have the WowWee branding on the toy’s behind. Fingerlings are the latest hot toy for kids but are they actually really good or just marketing hype? Meet the original Fingerlings family – Sophia, Mia, Boris, Bella, Zoe, and Finn. The original line features six interactive baby monkeys to collect, each with their own unique personality and each sold separately, retailing for about $14.99 apiece. Sophia is the white one, Mia the purple one, Boris the blue one, Bella the pink one, Zoe the turquoise one, and Finn the black one. With a good color assortment, you’re sure to find the perfect virtual pet for your child. Now exclusive Fingerlings like the Fingerlings Unicorn and Fingerlings Glitter Monkeys have been added to the family. Part of the main appeal is that they are incredibly cute. 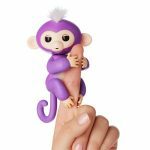 The Fingerlings are designed to fit on your fingers and deliver fun interactivity in spades with a wonderful dash of silliness. WowWee has geniusly marketed them as ‘Friendship at Your Fingertips’! Part of the main appeal is that they are incredibly cute. Let’s take a closer look at what these popular little critters can actually do. Each Fingerlings pet features sensors and a microphone with various reactions and each one has a unique personality of its own. Simplifying its robotics technology, WowWee claims that it has managed to pack AI technology in a $15 dollar toy. We love the way the toy moves its head and blinks its eyes. It really is a magical moment for kids when they first see their Fingerlings come to life right before their very eyes. It really is a magical moment for kids when they first see their Fingerlings come to life right before their very eyes. What’s cool is that the monkey knows its orientation at any given time, so it knows when it is on your finger or when it is hanging upside-down. 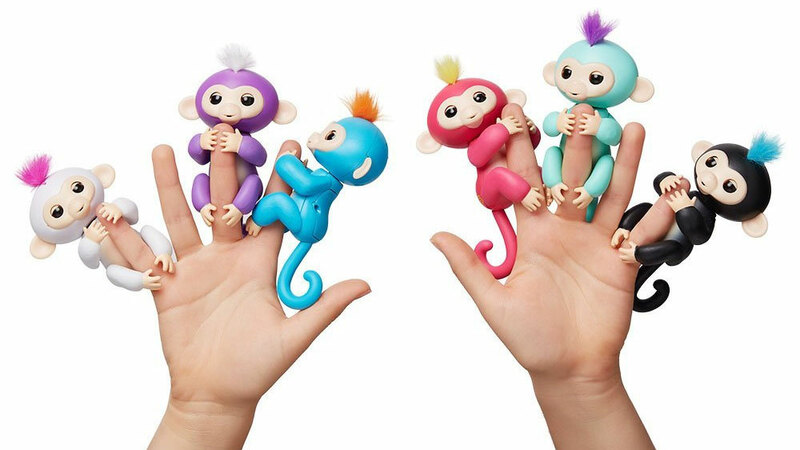 Because the Fingerlings have flexible arms and legs, they’re not only great for sticking on your fingers – but also perfect for attaching to various items around the house, like a highlighter, for instance. The problem is that the toy only seems to work when you trigger the sensors perfectly. Some actions work better than others. While it works most of the time, half the time the toy doesn’t do what it is supposed to do. You have to blow precisely in its mouth to trigger the kissing action. The problem is that the toy only seems to work when you trigger the sensors perfectly. Some actions work better than others. While it works most of the time, half the time the toy doesn’t do what it is supposed to do. It’s cute when it works, but sometimes you can trigger the kissing action without even blowing into the toy. You can clap at to make it “monkey around” but sometimes it will just stare blankly at you. The microphone won’t pick up the sound. You can hang it by its tail but it doesn’t actually swing on its own. You can cradle your monkey to sleep but you have to do it just right. Most of the “40+ sounds, phrases, actions” seem to blend into each other and it seems like the toy can really only do a couple of things that you can count on one hand. After a while the cute chattering gets annoying and you can randomly trigger actions so it all starts to feel like the same thing. Even worse is the build quality. It’s $15 dollars, but this is a cheaply made toy. Even worse is the build quality. It’s $15 dollars, but this is a cheaply made toy. The body is made of plastic and you can’t really pose the monkey. While the limbs have a little bit of give, it feels like if you twist it too much the arms and legs will just fall off. The paint seems to rub off after just a few hours of play. Young kids may easily break the toy. Although the Fingerlings are incredibly cute, adorable virtual pets with a whole lot of fun interactivity, there is no denying that it is limited in terms of its overall play value. From the onset they surprise when you see them come to life for the first time, but that novelty soon wears thin. Undoubtedly, more features, like voice recognition, a wide range of facial emotions or the ability to walk, could have been added, but realistically you’d be looking at a significant increase in price. All things considered, it’s great for what it does at this price – but somehow we really do wish there was a bit more to it. It could have certainly benefited from more sayings and reactions. Although it’s not an out-of-the park homerun, WowWee delivered a very cute toy that is decently priced. 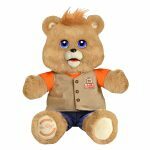 While it is marketed as a virtual pet, this is not a virtual pet like a Furby or Tamagotchi. They are really really cute but won’t stay on your child’s finger very long. There are only a handful of things it can actually do. It will not learn new things as you play with it. It’s one of those toys that is massively hyped that’s fun for a little while, but not worth more than the asking price. They are really really cute but won’t stay on your child’s finger very long.